Ruthie and Jack thought that their adventures in the Thorne Rooms were over . . . until miniatures from the rooms start to disappear. Is it the work of the art thief who's on the loose in Chicago? Or has someone else discovered the secret of the Thorne Rooms' magic? Ruthie and Jack's quest to stop the thief takes them from modern day Chicago to 1937 Paris to antebellum South Carolina. But as more items disappear, including the key that allows them to shrink and access the past worlds, what was once just an adventure becomes a life and death race against the clock. Can Ruthie and Jack catch the thief and help the friends they meet on the way before the magic—and the rooms—are destroyed forever? 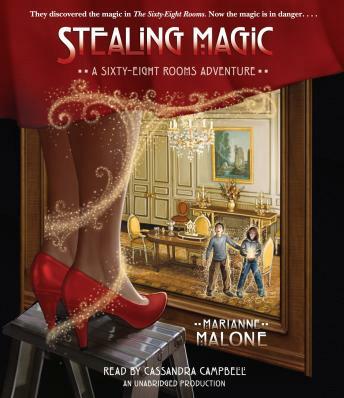 Fans of magic, mystery, and adventure will love this rollicking sequel to Marianne Malone's The Sixty-Eight Rooms.